XPERT Pole Fitness 1 & 2 is our leading beginner / intermediate teacher training programme. Designed and developed to ensure that instructors lead a safe, effective, fun pole fitness workout. This training will prepare you to lead a beginner/intermediate level pole fitness class and includes pole conditioning exercises, spins, climbs, and introduces inversion techniques. 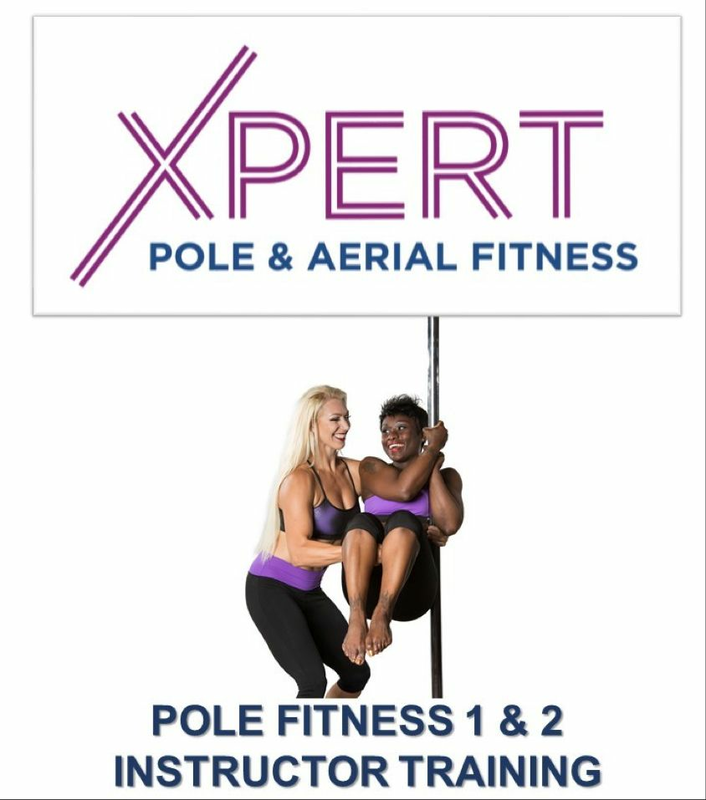 XPERT Pole Fitness 1 & 2 provides a more in depth and extensive explanation and overview of proper spotting techniques and modifications designed to provide instructors with the skills necessary to ensure participants of all fitness levels experience a safe and effective workout. XPERT Pole Fitness Level 1 & 2 is the best start to your teaching career. Over 80 Base moves plus progressions and regressions. All moves include, muscles worked, regression, progression, variations and common mistakes and spot if needed. Aerial Hoop (also known as Lyra, Aerial Ring or Cerceau) is a circular steel apparatus resembling a hula hoop suspended from the ceiling, on which circus artists may perform aerial acrobatics. In this class you will learn Aerial Hoop basics such as posing, spinning and moving within it. You will be challenged to create new and different combinations all while getting a great workout and having lots of fun.